Looking for the ultimate disguise? Try a Smiffy's Costume on for size! Perfect for carnival, theme parties and Halloween. 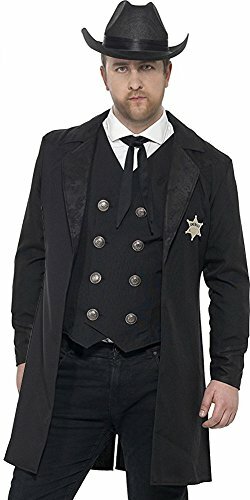 Package includes: 1 Smiffy's Men's Sheriff Costume: Jacket, Waistcoat, Neck Tie and Hat, Color: Black. 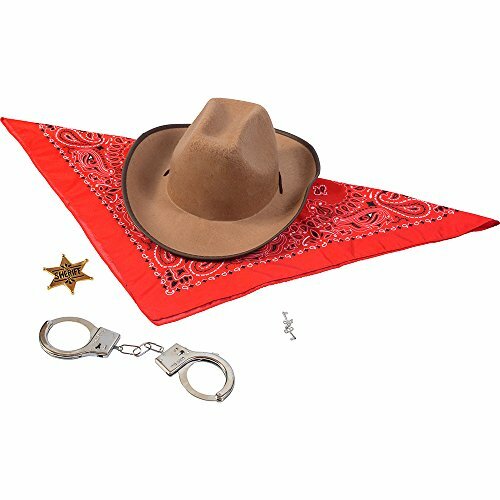 This Old West Sheriff's set includes a brown cowboy hat, a red bandanna to keep out the dust, a set of handcuffs and an official looking badge. 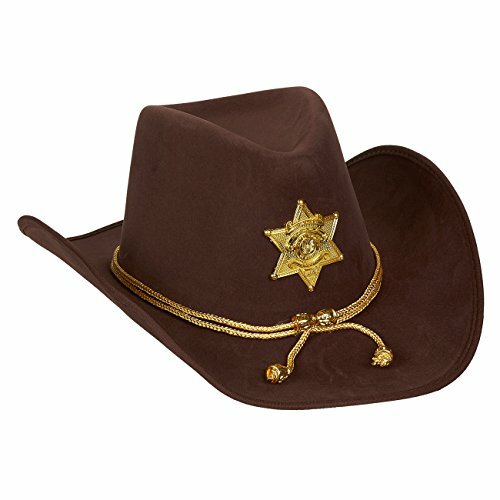 This classic brown felt cowboy hat with black trim is a great costume accessory. This lid is also great for any cowboy party. You will be in charge at any western party with this Sheriff's Set. The red bandanna is a 22" square. This adult sized hat has a 7" inner diameter. There was a time when a man was a man. A cowboy rode a horse into the wild unknown, alone, with nothing but the wit inside his skull and a gun at his side to keep him safe. Nowadays, the average man is a quivering mess the second he loses his precious smart phone. We're not saying you'll love your smart phone any less when you dress up in this western costume, but you might start asking people to call you "Blondie". 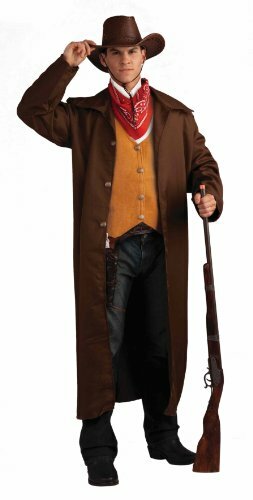 Take a little stroll back in time with Forum Novelties gunfighter costume. 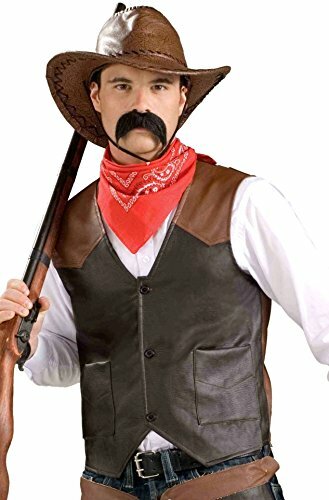 A great pick for any western theme or costume party. Costume includes a red paisley Bandana, Saffron orange vest with bronze button front, attached white collared shirt front and brown duster coat with collar and three bronze button accents. 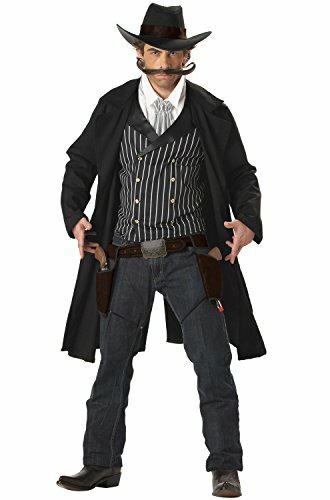 Our gunfighter costume will have you looking like a Gunman of the wild wild West. Look to Forum Novelties for all your Halloween, luau, Easter, Mardi Gras, and St. Patrick's day supplies.